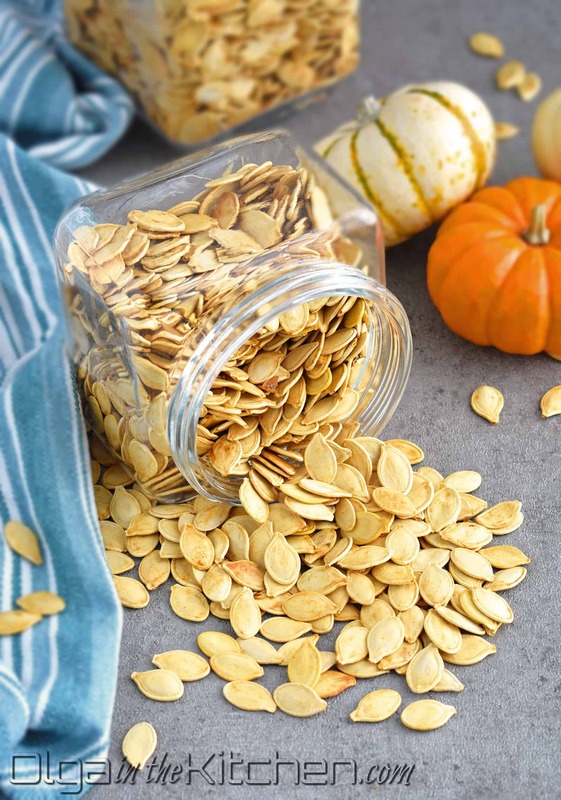 Roasted Pumpkin Seeds: an easy step-by-step tutorial on how to roast this healthy snack your whole family will love. Crunchy and delicious every time! These are great on salads, mixed in granola, to top soups and many other foods. This is the only way we ever roast pumpkin seeds. The classic Ukrainian method! Pumpkin seeds bring a lot of childhood memories. In our culture, we like to snack on sunflower and pumpkin seeds. Whether taking long walks, drinking night coffee with friends and families or a simple bonfire while camping. 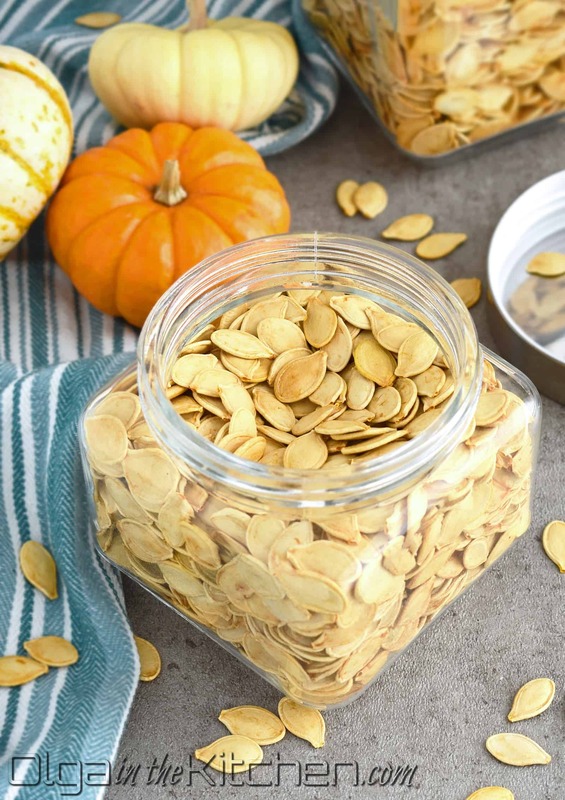 Seeds are a must!There is a local pumpkin farm in our area. 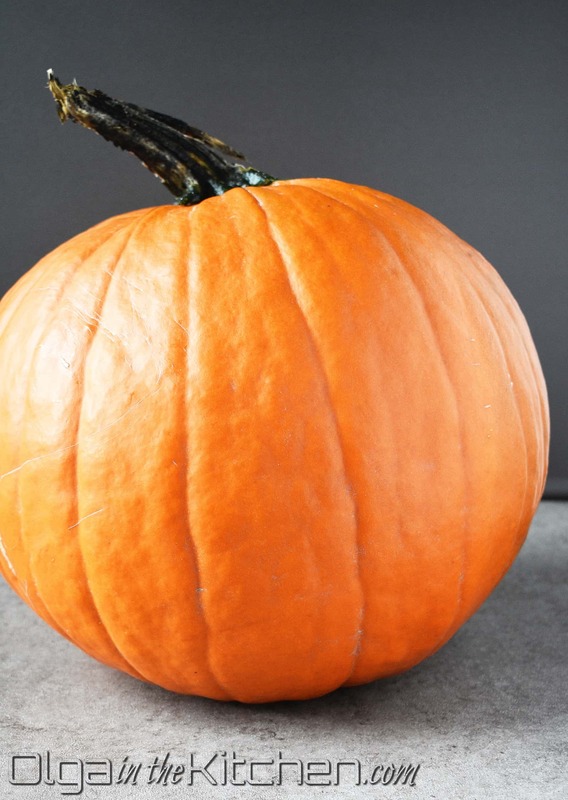 Every year as soon as Halloween is over, you can get free pumpkins. You may cut them open in the field and take out the seeds. You don’t need to take the pumpkin shells with you unless you want to. Let’s be honest, you don’t want to bring fifty or even hundred pumpkins home 😀 . This year my brother and his wife did a very generous thing and brought us couple pumpkins and a bucket of pumpkin seeds. 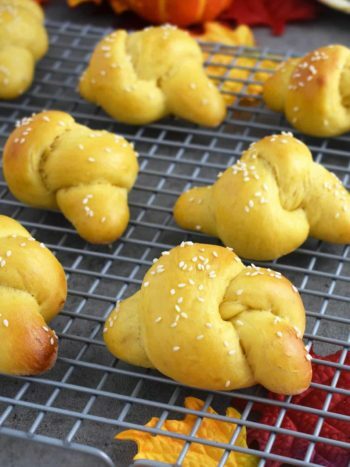 So, I toasted them and now sharing this easy recipe with you. It came to our attention that roasting the seeds at 200°F is the healthiest way to eat pumpkin seeds. If you single layer the seeds on a baking sheet – it works great. However, if you are roasting bucket of seeds, you would want to speed up the process. Therefore, I’ll share two slightly different methods and you choose which one works for you! 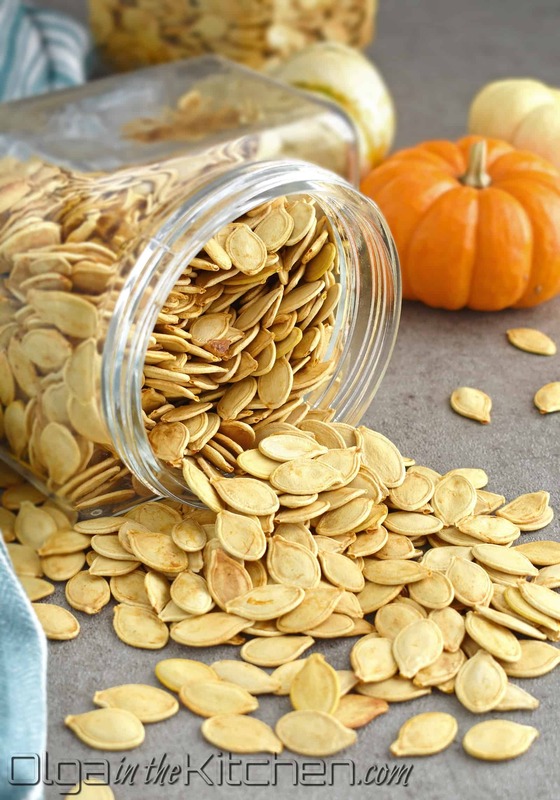 No matter what method you choose, you will still end up with crispy and delicious pumpkin seeds! I know this post might be a little late since many people buy pumpkins for Halloween. However, we don’t celebrate Halloween, therefore, we don’t even think of it. Why pay $10 for large pumpkin when you can get it for a dollar or less. Beginning of November is the perfect timing for roasting pumpkin seeds. Stores like Fred Meyer and Sprouts have hundreds of pumpkins outside the store because people buy them for Thanksgiving. These stores are in no hurry to get rid of the pumpkins just yet. I even bought 3 large pumpkins the other day at Sprouts; $0.99 each and I cannot wait to make more puree and roast more seeds!! 1. METHOD 1 (single layer): Cut pumpkin in half and use your hands to remove all the seeds, by avoiding removing the pulp. Place the seeds into a large bowl. With help of paper towel, pat the seeds to remove any huge pieces of pulp. Seeds will stick to the paper towel, but you will be able to remove the pulp. Do not rinse the seeds. Preheat the oven to a 200°F. 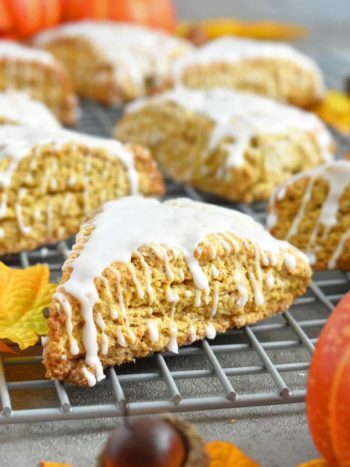 Spread the pumpkin seeds in a single layer on the baking sheet and bake for 3 – 3 1/2 hrs. Give them a quick stir every 30-40 mins. Taste test after 3 hours to see if they are crispy enough for you. 2. 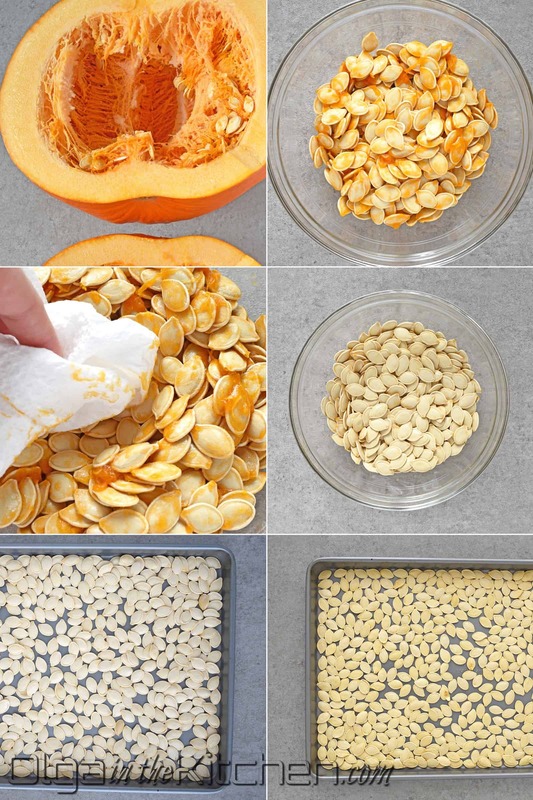 METHOD 2 (full baking sheet): Cut pumpkin in half and use your hands to remove all the seeds, by avoiding removing the pulp. Place the seeds into a large bowl. With help of paper towel, pat the seeds to remove any huge pieces of pulp. Seeds will stick to the paper towel, but you will be able to remove the pulp. Do not rinse the seeds. Preheat the oven to a 220°F. Transfer pumpkin seeds to a baking sheet (almost full) and bake for 4 hrs. Give them a quick stir every 30-40 mins. Taste test after 3 ½ hours to see if they are crispy enough for you. With this method the seeds turn out more golden in color. Adding those 20 degrees makes a huge difference and a complete time saver. 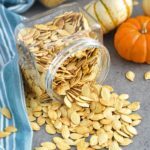 Roasted Pumpkin Seeds: an easy step-by-step tutorial on how to roast this healthy snack your whole family will love. 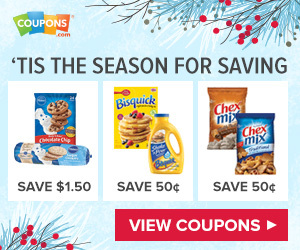 Crunchy and delicious every time! These are great on salads, mixed in granola, to top soups and many other foods. 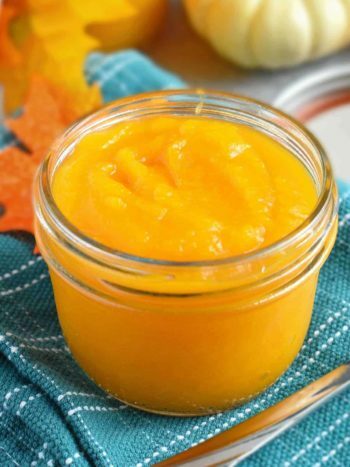 METHOD 1 (single layer): Cut pumpkin in half and use your hands to remove all the seeds, by avoiding removing the pulp. Place the seeds into a large bowl. With help of paper towel, pat the seeds to remove any huge pieces of pulp. Seeds will stick to the paper towel, but you’ll be able to remove the pulp. Do not rinse the seeds. Preheat the oven to a 200°F. Spread the pumpkin seeds in a single layer on the baking sheet and bake for 3 – 3 1/2 hrs. Give them a quick stir every 30-40 mins. Taste test after 3 hours to see if they are crispy enough for you. 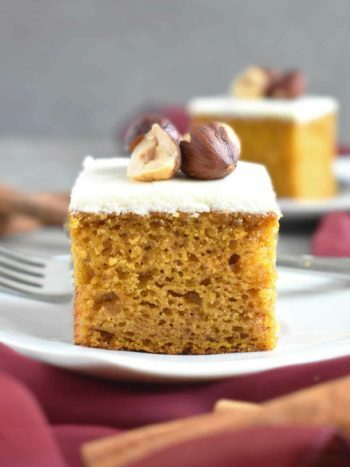 METHOD 2 (full baking sheet): Cut pumpkin in half and use your hands to remove all the seeds, by avoiding removing the pulp. Place the seeds into a large bowl. With help of paper towel, pat the seeds to remove any huge pieces of pulp. Seeds will stick to the paper towel, but you’ll be able to remove the pulp. Do not rinse the seeds. Preheat the oven to a 220°F. 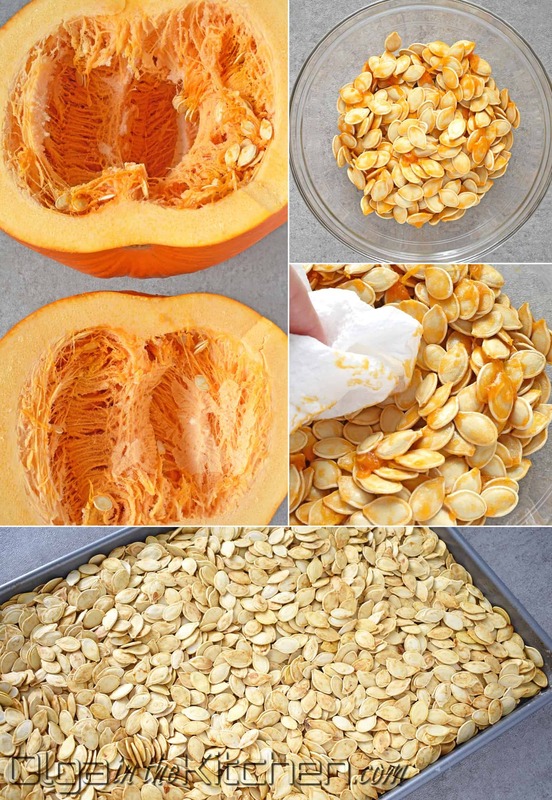 Transfer pumpkin seeds to a baking sheet (almost full) and bake for 4 hrs. Give them a quick stir every 30-40 mins. Taste test after 3 ½ hours to see if they are crispy enough for you. With this method the seeds turn out more golden in color. Adding those 20 degrees makes a huge difference and a complete time saver. You saved me this year. I was looking for a classic way to roast the seeds and I came across your recipe. What an easy and delicious way to roast these seeds. This is going into my recipe book.